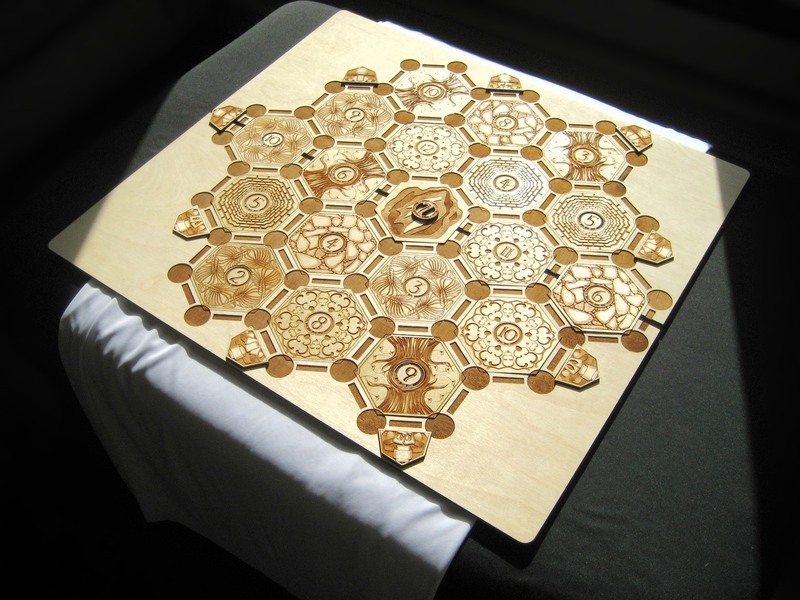 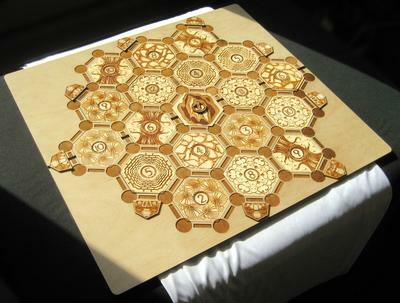 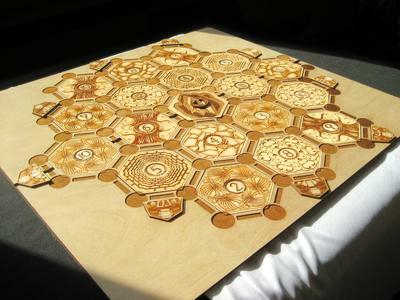 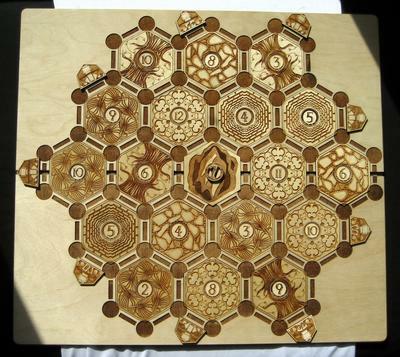 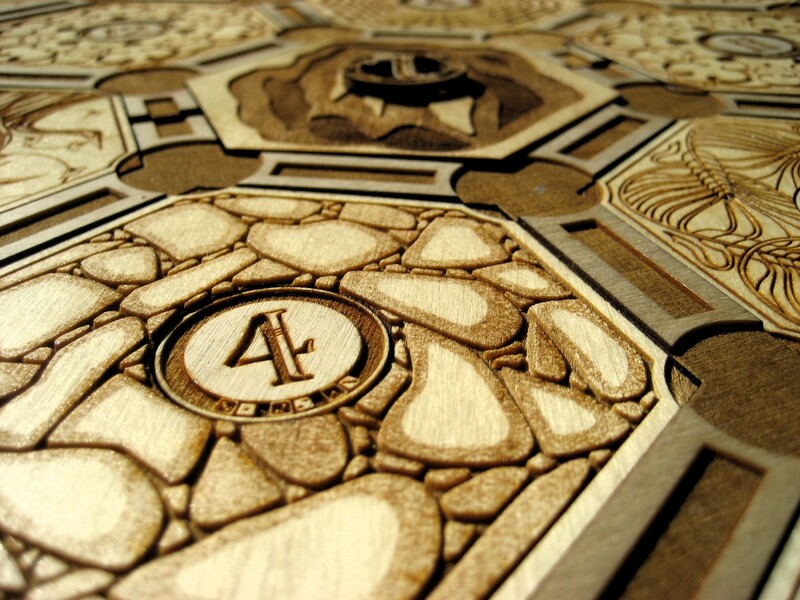 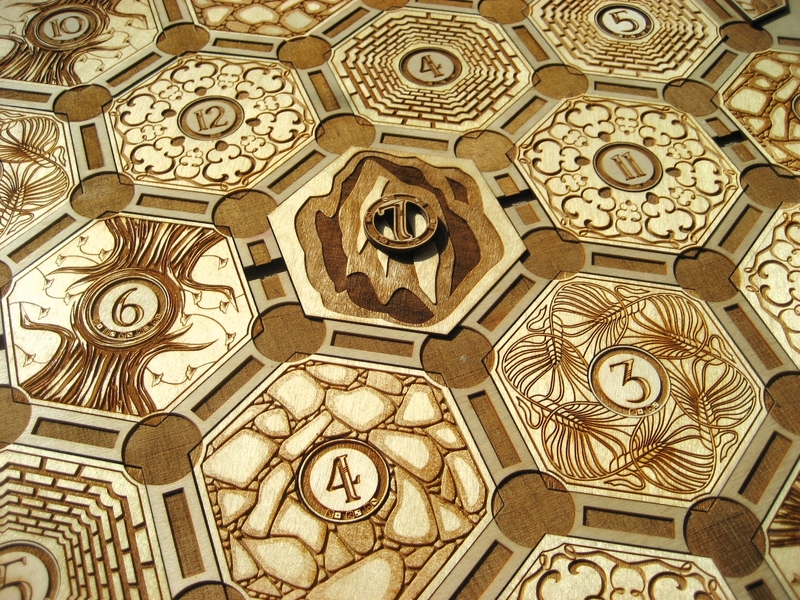 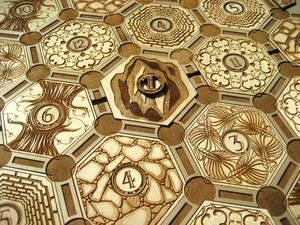 This is a custom board for the Settlers of Catan board game. 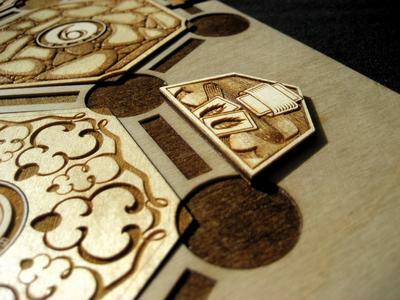 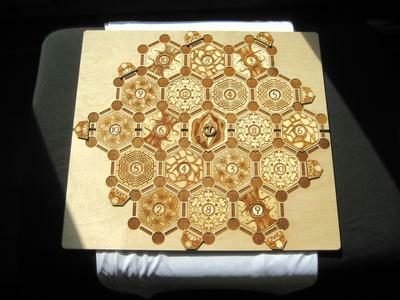 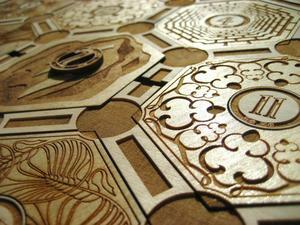 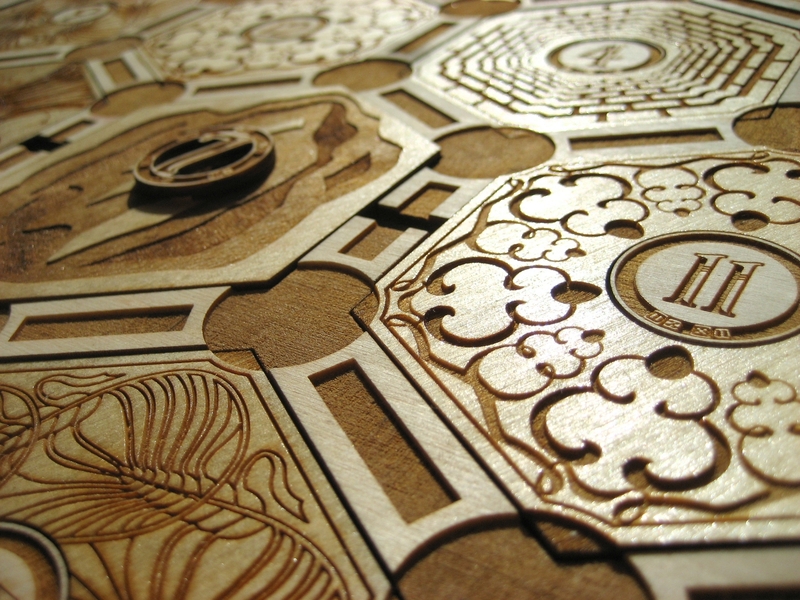 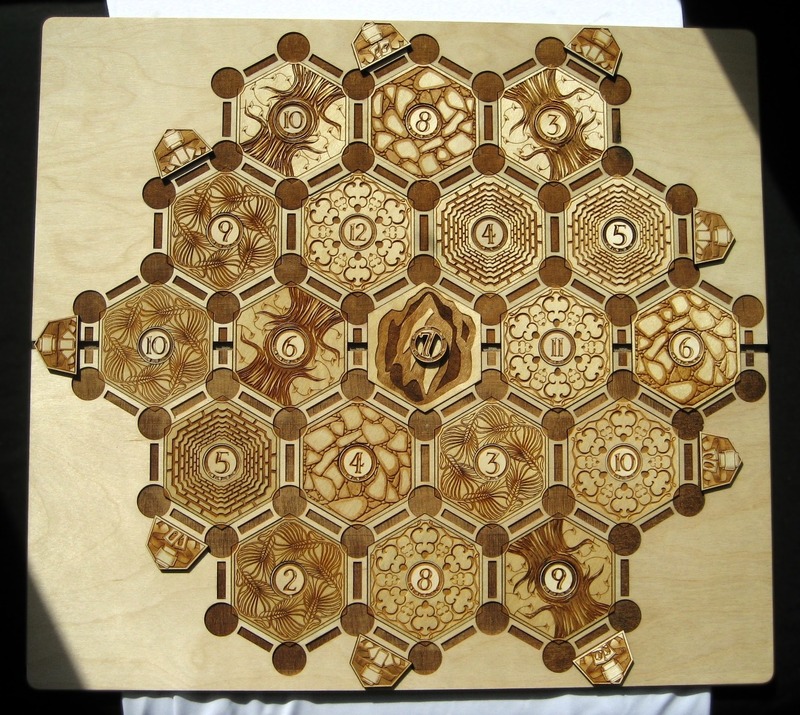 It includes a frame, a set of hexagonal tiles, a set of pips, and a set of ports. 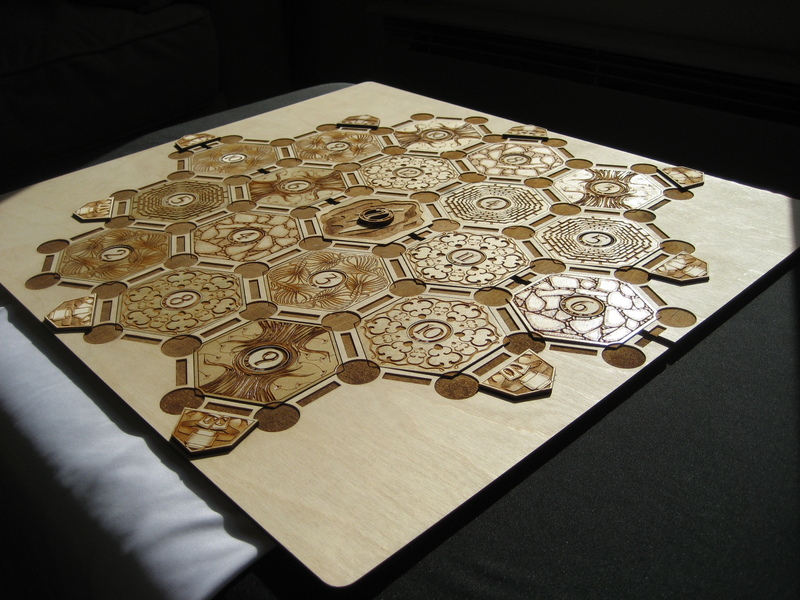 Please see my blog, Boardcrafting for more backstory and information on how to buy one for yourself.